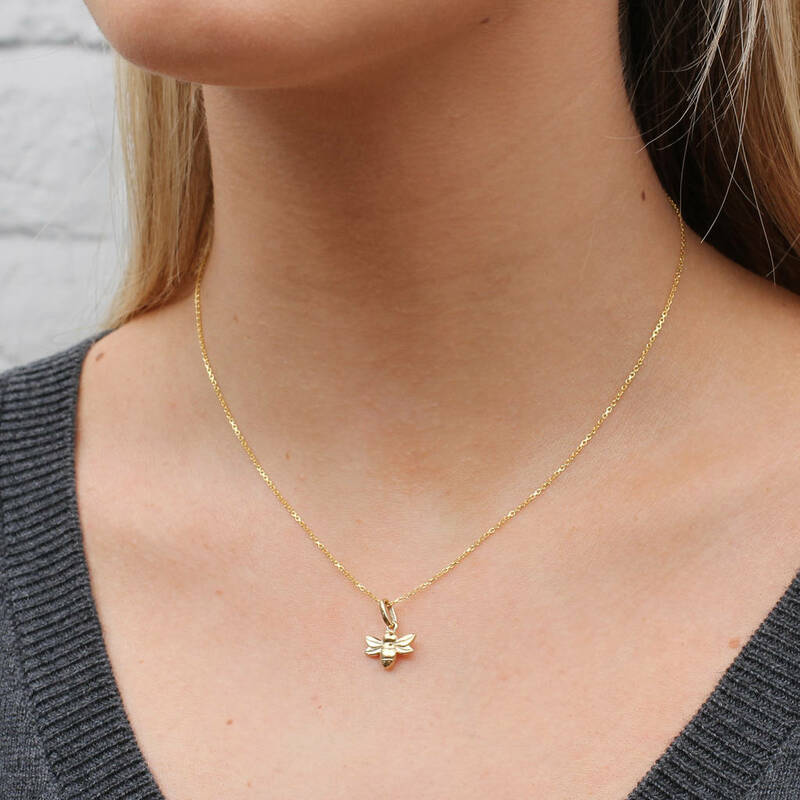 A beautifully detailed and unusual piece of jewellery available in hallmarked sterling silver, 18ct rose or yellow gold vermeil. 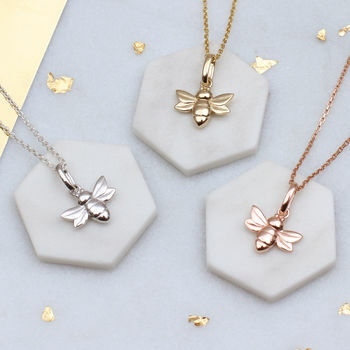 This special necklace is an ideal gift for someone who appreciates nature and the charm of the honeybee. 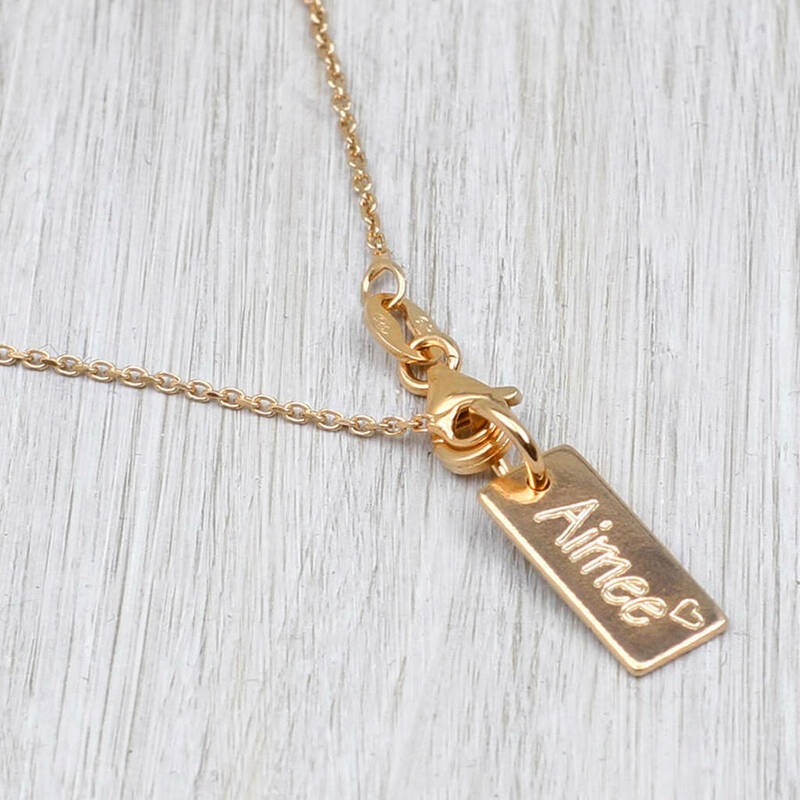 Available on a variety of chain lengths. 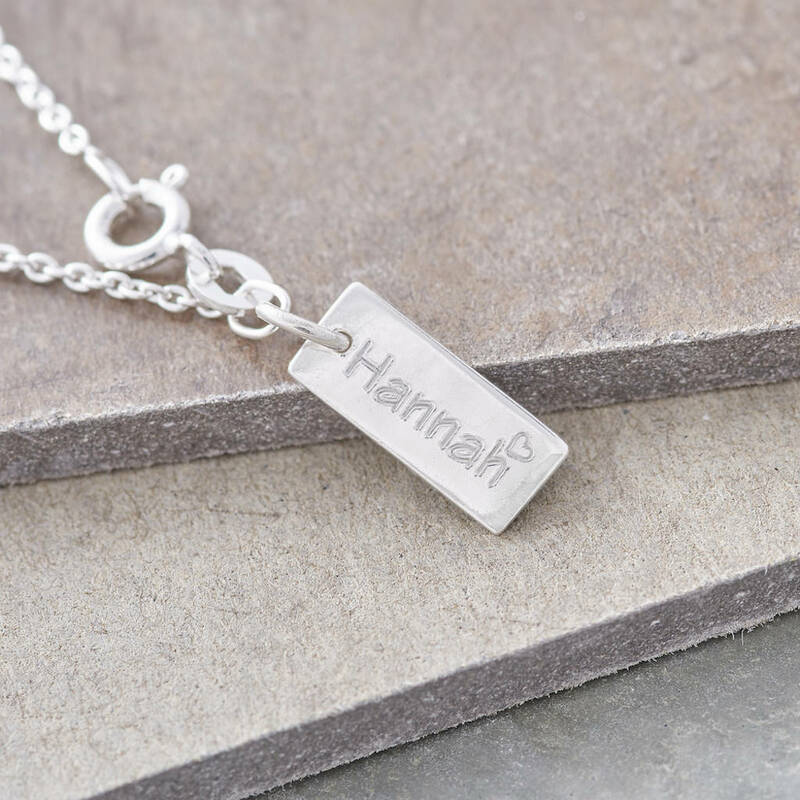 We can add a mini tag to the clasp personalised with a name or date on both sides. FREE DELIVERY - we will send your order by our standard service completely free of charge. 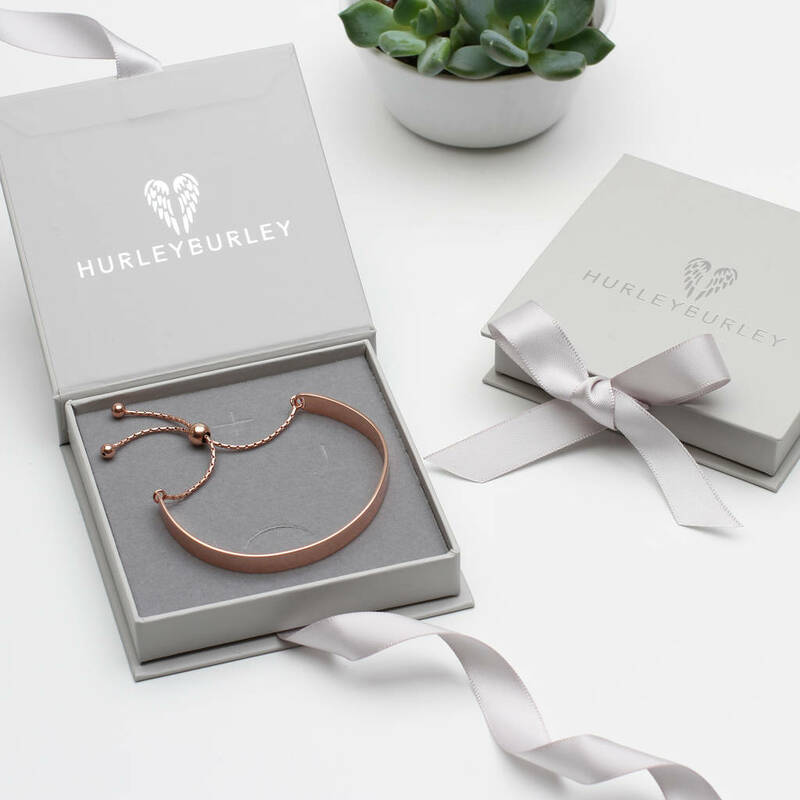 FREE GIFT BOX AND GIFT MESSAGE - we will pack your item in our beautiful branded box tied with a satin ribbon and with an added gift card all free of charge. Our free standard postage is by Royal Mail 1st class post which has delivery guidelines of 1-2 working days but is not guaranteed to arrive within this timeframe. 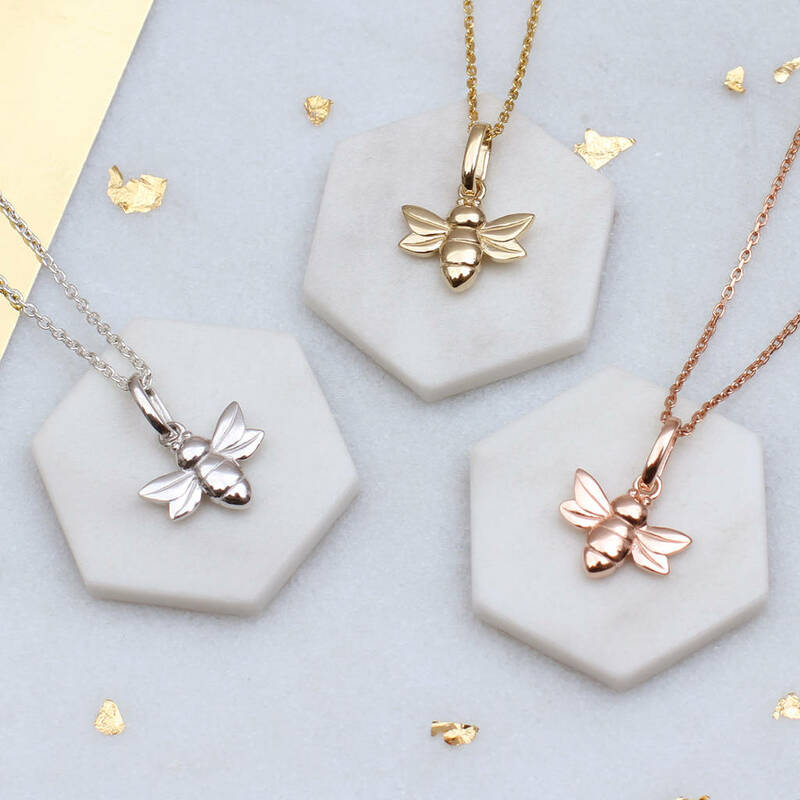 All components are made from hallmarked 925 Sterling silver or 18ct gold vermeil. This product is dispatched to you by Hurleyburley.